4 of the 5 best-selling brands lost market share in the first third of 2015. It's close, but the emerging compact crossover segment — think CR-V, Equinox and Escape — is running just ahead of the midrange sedan class, led by Camry, Altima and Fusion. Audi passed Cadillac for the first time in 2014, and so far this year, Acura has outsold GM's struggling luxury brand. The Chrysler brand has inched ahead of Volkswagen after trailing the German brand by about 58,000 units in 2014. Dodge had about a 61,000-unit advantage over Subaru in 2014, but not so far this year. Hyundai outsold Jeep by more than 33,000 units last year, but Jeep the Juggernaut is ahead in 2015. The Ford Escape outsold the Chevrolet Equinox by about 64,000 units last year, but the Chevy, which won't be redesigned until 2017, has pulled into the lead in 2015. Mercedes-Benz pulled back into the luxury-brand lead after outselling BMW by 2,236 units in April. The Kia Soul was the best-selling subcompact in 2014, but after 4 months, the Nissan Versa is on top in 2015. The Chevrolet Cruze outsold the Hyundai Elantra by about 50,000 units in 2014, but the Hyundai nosed past its Chevy rival in April. Talk about a close race. Mercedes' CLA and its small luxury-sedan rival, the Audi A3, may go down to the wire this year. Honda Division outsold Nissan Division by about 103,000 units in 2014, but it needed to come on strong in the second half of the year to do it. It appears Honda will have to do that again this year. 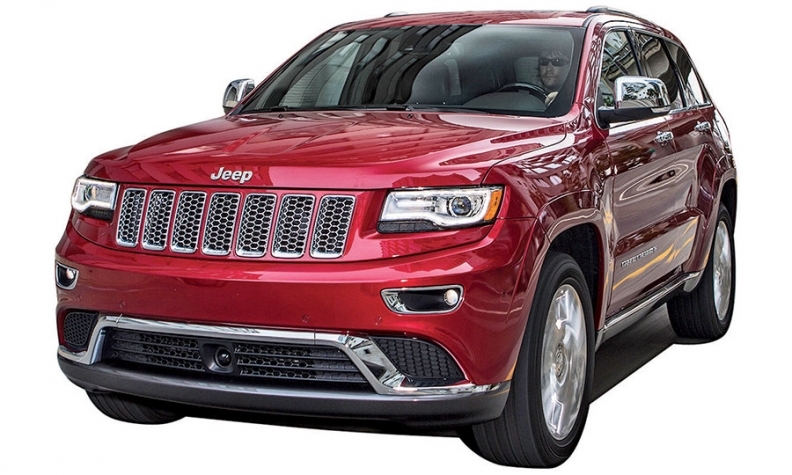 Jeep set another monthly sales record in April. Here are the brand's 3 best months on record. Among the 5 best-selling midsize sedans, only Chrysler's newly redesigned 200 improved last month when compared with April 2014. Chevrolet has regained the No. 2 spot in the battle of the brands after Toyota Division slipped past Chevy in the first quarter. Japanese-brand vehicles racked up market share gains in the first 4 months of 2015. U.S. light-vehicle sales still are rising, but the rankings have changed this year as some brands get hot and others cool off. Here's how several tight brand races and model matchups are looking after 4 months.